Newquay Airport Car Hire | Find Cheap Car Rentals fast and efficiently with us! 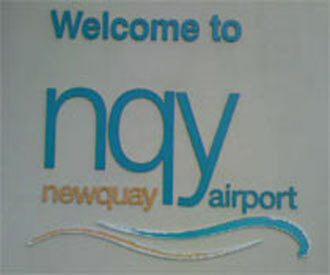 Newquay airport is the main commercial airport for the county of Cornwall. The airport is situated in St Mawgan, and is the only commercial airport serving the county of Cornwall and the Scilly Isles. It also serves the Isles of Scilly Skybus, Ryanair, and Air SouthWest. Newquay Cornwall Airport is the busiest airport in this particular UK region. It mostly serves Cornwall, as it is located well within its boundaries. However, the fact that it is close to Newquay, which is just around five and a half miles (9 kilometres) away, makes it the airport of choice of people who wish to travel to this particular tourist destination at certain times of the year. Newquay Cornwall Airport aims to provide wide opportunities to both its leisure and business passengers in terms of public transport and ease of access to key spots within the region. There are frequent flights offered from this airport to London and Manchester. The airport does its best to provide passengers the easiest means to travel in and out of the country. Public transport, taxis, and car hire facilities are available from the airport as well, so it is fairly easy to get to your ultimate destination. If you have a car, the airport has 544 parking slots available, with no pre-booking necessary. Public transport is offered in the form of buses and taxis, as there is no railway station at the airport. There is a stop outside the terminal for the buses though and they can take you to the city centre fast and easy. If you would rather take the taxi, you’ll need to pre-book first. You have to call BioTravel to for a cab and they will arrange for one to wait for you at the forecourt. The same procedure is followed for car rentals. Newquay Cornwall Airport has different facilities for customers. There are lounges, a WiFi connection, restaurants, cafes, and retail shops within the premises. Passenger assistance is easily accessible too. Security checks are also well in place. All of these are carried out with the full intention of providing travelers comfort and protection during their journey. However, the airport charges development fee that costs about five pounds per person. This was started in 2005 and the money collected goes to the improvement and rehabilitation of the airport. This payment is made at the terminal, as it is not part of the ticket costs. All passengers 16 years old and above have to pay the fee. However, children and those who are younger than 15 years old are exempted from paying. Newquay Cornwall Airport continually adds a few year-round routes and several summer flights to serve more passengers. While London, Manchester, and the Isle of Scilly are the only major destinations included in its year-round routes, the flights open for the summer include Glasgow, Edinburgh, Belfast, Newcastle, Liverpool, Norwich, Gatwick, Dusseldorf, and London Southend. Chartered flights are offered as well. Through it, you can get to easily to Madeira, Naples, Verona, Genoa, and Turkey. The information desk is in the airport terminal. There are eating and drinking places in the Departure lounge and the check in area. Public telephones are several areas of the terminal. Newquay airport has wheelchair access facility. There are several toilets in the terminal area. The runway can be seen from the airport terminal. The airport's runway used to be operated by RAF St Mawgan, before it was handed over back in 2008. The airport is lies near some of Cornwall's most popular attractions including the Eden Project. In 2006 the terminal was extended, increasing the size of the terminal by about twenty percent. This extension was built to allow the airport to handle larger numbers of passengers. There are spaces for more than five hundred vehicles between 2 car parks. There are 10 parking bays for the disabled. Newquay town is situated on the North West coast of Cornwall, and is one of the most popular and busiest holiday locations in the UK. It is also one of the best destinations for surfing in Europe. The beaches in Newquay and the surrounding areas are probably amongst the most attractive in the United Kingdom. Viewing any of the beaches from the clifftops, you would appreciate how beautiful they are.